I recently posted about how amazing the Green Virgin laundry products are. 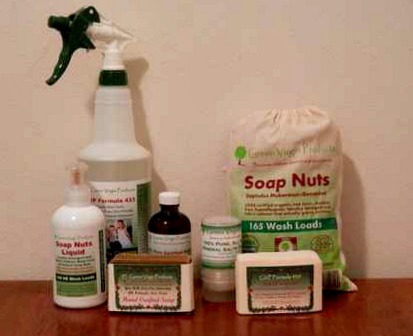 But soap nuts and pre-spot bars are not the only fantastic products that Green Virgin Products carry. They are committed to creating safe, eco-friendly products for each part of your home. They make an amazing Soap Nut and Moringa handcrafted soap. This soap utilizes the amazing cleaning qualities of the soap nut, in a luxurious, silky smooth soap. Using only the highest quality olive oil, peppermint oil, and Shea butter, Green Virgin Products has created a soap that is the perfect combination of cleaning and moisturizing. I absolutely love this soap! It left my skin feeling smooth and soft. My skin was so moisturized that I didn’t even have to use lotion, after I washed with this soap. The peppermint oil leaves you feeling refreshed, with just a hint of peppermint scent. Even my husband enjoyed using this soap, and he isn’t usually fond of handcrafted soaps. He loved how soft his skin felt, and how it didn’t dry out his face. He specifically asked me to be sure and buy more of this soap! 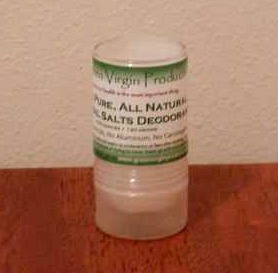 Green Virgin Products also carries Mineral Salt Deodorant Stones. Did you know that when you perspire, it is actually odorless? It doesn’t actually smell, until it comes in contact with bacteria, in your armpit. This deodorant works by creating a thin layer of mineral salts, on your skin. The bacteria can’t survive where the salt is. Voila, no more odors! I’ll admit I was nervous to try this product. I know that traditional deodorant is full of chemicals and toxins, but I really don’t want to be stinky. I tried it out one day, and kept waiting for a telltale smell, but it never came. I even had my husband smell right in my armpit (good thing he loves me). He said that when he put his nose right up to my armpit, it smelled like skin, but wasn’t stinky. I’m a very pregnant woman, in the humid, hot south, and this kept me from stinking, without all the toxic chemical of regular deodorant. I’m very impressed with the Mineral Salt Deodorant. Another great product, carried by Green Virgin Products is Moringa oil. 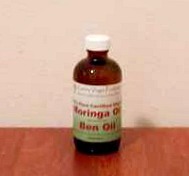 I had, actually, never heard of Moringa oil before. It is a very ancient oil, that has been found in the tombs of ancient Egyptians. It is such a versatile oil. It can be used to treat skin issues, skin moisturizing, for deep cleansing and moisturizing of hair, for massage, and even for cooking! One weekend, my family went swimming, and my son and I got sunburned. I gently rubbed Moringa oil on the burns, and within a few minutes, they stopped throbbing and burning. The next day, my son’s sunburn was gone. I have used it when my facial moisturizer ran out, and it didn’t leave my skin feeling greasy. Moringa oil is loaded with omega acids; vitamins A, C, and E; zinc; and thiamine. 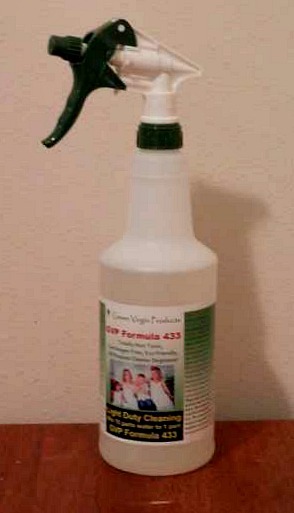 My favorite product, though, was the GVP Formula 433 All Purpose Cleaner. This is an amazing cleaner. It comes in a concentrated form, to save you money. Simply add water, and you have a tough, multi-purpose cleaner. I have used this to clean my microfiber couch, spot treat my carpet, clean the bathroom sink, wash crayon off my walls, and even kill the ants, that like to accumulate, under my front door. This cleaner is even safe enough to use as a fruit and vegetable wash. All ingredients in the Formula 433 All Purpose Cleaner are recognized as safe, by the EPA. Green Virgin Products isn’t even required to put child safety lids on this cleaner, because it is safe for human consumption. I haven’t found a job, yet, that this cleaner can’t handle! 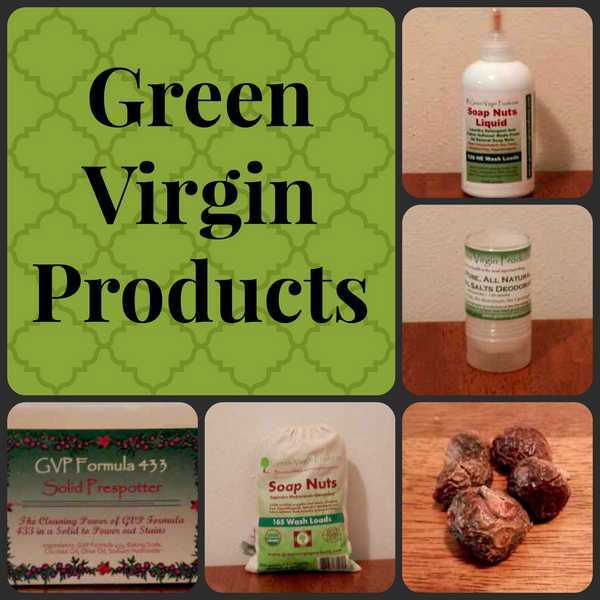 I am thoroughly impressed with each Green Virgin product, that I have tried. They have amazing, eco-friendly, child safe products to replace all the toxic products in your home. I was given products to try, in order to form an opinion. I was not required to give a positive review. All opinions are honest and my own. « Five 4th Of July Activities/Treats for the crafty challenged parent! Green products are great. I love how more and more ppl are going green. We do our best, recycle, grow veggies, and we don’t do gmo! Thanks for sharing your review on these products…I’ve seen these on the internet before & was wondering how effective they were. I’m always on the lookout for a cleaning product that is safe to use, especially around pets for our house.